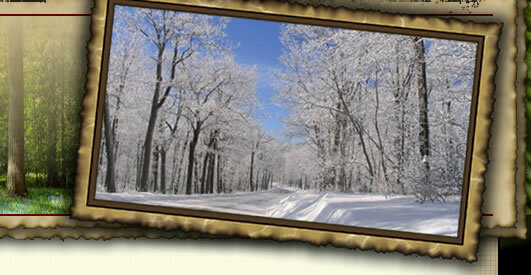 Q: What should I do if I would like to purchase a home or lot in the Spruce Knob Association in Blue Knob? A: We look forward to new homeowners to enjoy the beauty of Blue Knob with us! Network with current home and lot owners who may know of people interested in selling property. The Blue Knob Rental Office has a bulletin board with properties for sale. Home and lots for sale with a realtor are listed on http://www.centralpahomefinder.com/ or http://www.realtor.com/. Properties in Blue Knob are listed with Claysburg PA.
Q: What should I do if I would like to sell my lot or home? A: Blue Knob is the best kept secret, so use a variety of resources to sell your property! Spread the word to home, condo, lot owners and avid skiers/golfers. SKA does not sell lots or homes, however, if you would like to sell it yourself, as a dues paying member, you may list it on our SKA Website. See examples of lots and homes for sale listings and send the details of your listing to "Contact Us" on the SKA website, http://spruceknobassociation.org/. The Blue Knob Rental Office has a bulletin board to post properties for sale on the mountain. You may list your home or lot with a realtor. To find a realtor try: http://www.centralpahomefinder.com/ or http://www.realtor.com/ Properties in Blue Knob are listed with Claysburg PA. Please let us know when you have sold your property and provide us with the name and address of the person who purchases your property. How do I get my information on the SKA website? If you want info posted to the website, send it to me at skaboard@spruceknobassociation.org. Please send as a Word doc, .txt file, or PDF format. If you have a lot for sale, include a pic and description including contact info. If you have a house for sale, include pics and description, we may have to limit the number of pics. If you have rentals to advertise, these will be listed under the classified section, you may include pics and descriptions but we may have to limit the number of pics. If you have a business/services to advertise, these will also be included under the Classified section, if you are a SKA member in good standing your advertisement is free. How do I submit pictures to be posted on the SKA website? We will maintain 4 photo albums, SKA Homes, SKA Scenery, Winter Fun, and Summer Fun. If you want your pics displayed in any of the albums send them to me as a ".jpg" We will try to maintain 15 - 20 images per album and if we exceed that amount in submissions we will rotate new pics in and old pics out on a regulary basis. SKA Homes is a collection of homes on the mountain, only one pic per home. SKA Scenery will be the best images of our local flora, fauna, landscapes,& wildlife. If we get enough pics we can create a new Wildlife Album! Winter Fun is a collection of our best winter activity photos. Summer Fun is a collection of our best summer activites. What does my SKA amenity fee pay for? There are many amenities and benefits for SKA home and lot owners at a very reasonable yearly association fee! Fun, excitement, beauty, activities, wildlife, relaxation – PRICELESS! The SKA Board is a volunteer organization. 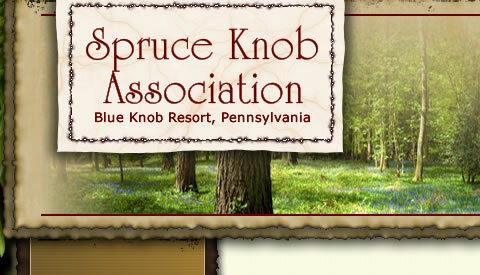 Please contact us via the SKA website at spruceknobassociation.org, if you are interested in serving on a committee.